If you’re waning on your resolutions already, worry not – we have an array of manageable and maintainable ways to make 2019 a fantastic year. If we try to change our habits too much, chances are those changes won’t stick. What’s the benefit of eating no chocolate for a month, if you go back to eating unrestricted amounts afterwards? What’s the benefit of signing up to an expensive gym membership if you go five times one week in January and never again, until you renew the following January. Not that there’s anything wrong with going to the gym, but only if you have a genuine interest in going and would have joined anyway, not just because it’s January. If your resolution is to be healthier, small changes like taking the stairs instead of the lift, cooking healthy meals from scratch, getting more sleep, walking more and drinking more water are maintainable lifestyle changes with reams of benefits. Now that’s quite a list! But when the taste and quality of tap water can leave a lot to be desired, reaching your targeted 2 litres a day to reap these benefits can become a bit of a chore, and buying bottled water can be a strain on both the purse strings and the environment. Investing in a filter jug can make a real difference, and you can’t get better than ZeroWater, which turns even the grottiest of tap water into the purest, crystal-clear, refreshing water. ZeroWater is the only filter jug that removes 99% of water contaminants, with its innovative 5-stage filter almost completely eradicating substances like lead, chlorine and fluoride, so you can be confident that what you are drinking is simply pure, unadulterated H2O. Not only does it make your tap water safer to drink, it improves the taste too – Alison from our finance department couldn’t believe the difference and even went so far as to say she’ll never buy bottled water again! With water tasting this good, keeping hydrated and reaching that 2 litre goal will become easier than ever. It’s all about moderation – if you tell yourself you can’t have something, you want it all the more. Life’s too short to deprive yourself of what you enjoy, so have your cake and eat it – just not all the time! If you want to take a healthier approach (as we’re all guilty of a bit of overindulgence at Christmas), rather than cutting foods out completely, enjoy them in smaller portions. Baking batches of mini cakes is a great idea as it helps you to stay in control of your portion sizes, and they’re perfect for passing around when you have guests too. 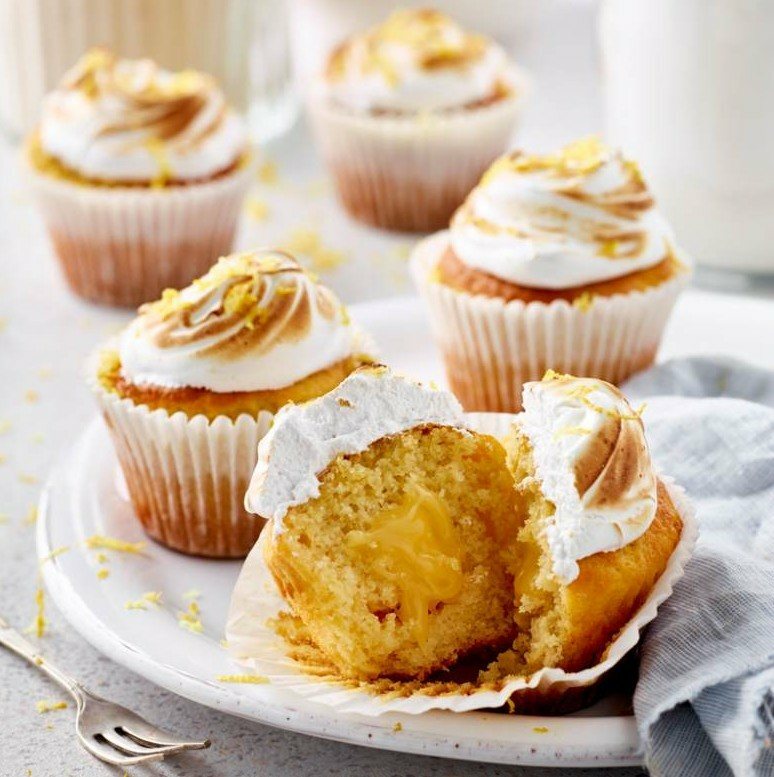 Check out our recipe blogs for lots of inspiration with delicious recipes like Mini Lemon Curd Sponge Cakes – sublimely moist sponge oozing with gooey lemon curd – and Little Raspberry and Lime Tarts – the challenge, of course, is stopping at just one! There are plenty of healthy ways to enjoy your favourite ‘naughty’ treats too. Love chips? Enjoy them home-cooked without the guilt thanks to an air fryer. Not just for chips, it lets you enjoy a variety of ‘fried’ foods with ease and needs only a teaspoon of oil for all the taste without the fat. The Air Fryer Cookbook is bursting with delicious recipes to get the most out of your machine. A common concern with healthy eating is the cost of fresh ingredients, but with a bit of forward planning and batch cooking, you can actually save money. 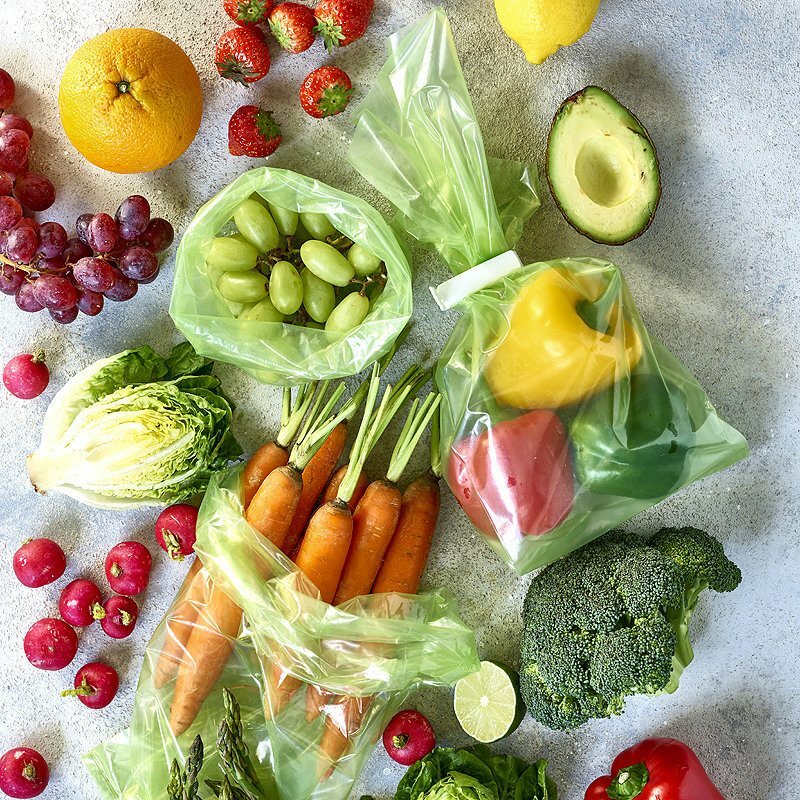 One issue a lot of us have with fresh fruit and vegetables is that they can go off quickly, meaning we end up throwing a lot away and wasting money – with Stayfresh Longer Bags, this needn’t be an issue. Their secret ingredient is the porous, food-safe, natural Japanese stone powder suspended in the polythene film, which absorbs the ageing ethylene gases that most fruit and veg release, creating an environment that helps fresh produce stay that way for longer. Make sure your fruit and veggies are nice and dry, pop them in a bag, fold over or seal with a Klippit and marvel at how long they stay fresh, ready and waiting to be transformed into a deliciously nutritious meal! Smoothies are a quick and efficient way to get your 5-a-day, but they can be very costly to buy in supermarkets. It couldn’t be easier to make your own, and you can keep the cost down further by using frozen fruit and berries. It’s also a great way of using up fresh fruit and veg that’s on the way out; you can put almost anything into a smoothie – carrots, leafy greens and broccoli as well as fruit – all you need is a blender! One-pot cooking can be a great way to create hearty yet healthy meals with little time, effort or money. 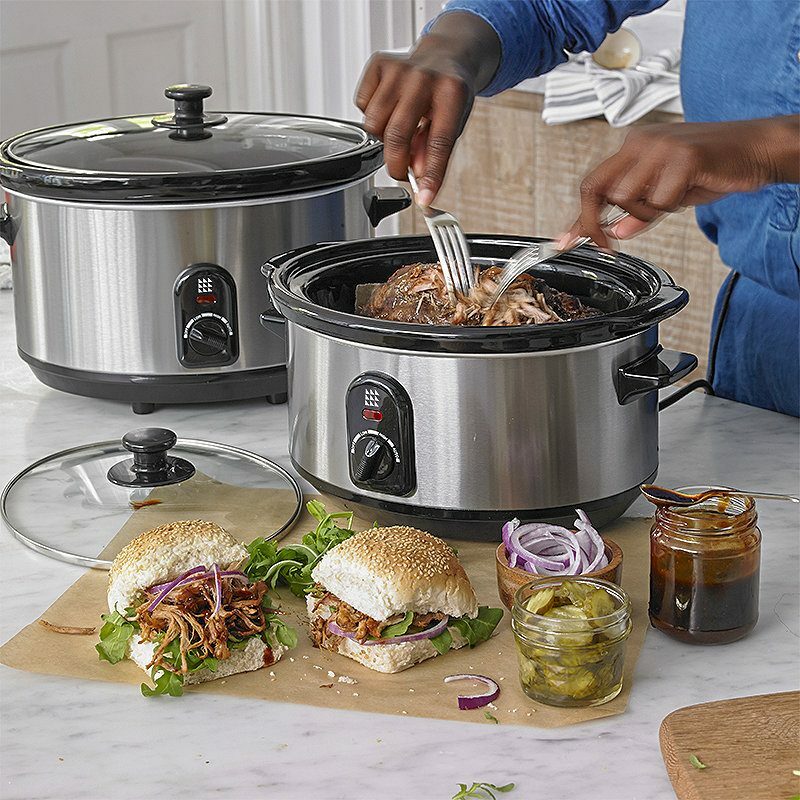 With some slow cookers having generous capacities of up to 6 litres, they’re perfect for batch cooking meals to be frozen and kept for another day, saving you lots of cooking time and ensuring you get the most out of your ingredients. Perfect for soups and casseroles, the slow cooking process unlocks all manner of flavours from vegetables and cheaper cuts of meats, so you can create delicious and nutritious meals for hardly any money at all. The Slow Cooker One Pot Recipe Book is great for recipe inspiration, with over 50 recipes to try. The Remoska is another one-pot cooking genius that can save you money too, with the full functionality of an oven at a fraction of the running cost, and it’s portable to boot! We’ve been busy creating some exciting new Remoska recipes for you to try, like the deliciously healthy and protein-packed New Potato, Courgette and Pea Frittata. You’ll be amazed at the versatility of this little oven – roast chicken, soups, cakes… it does it all, without running up a huge electricity bill. With our increasingly busy and hectic lifestyles, we often find ourselves juggling many things at once. Cleaning can end up low on our priorities, especially once it’s started to mount up… but it plays on our mind, with psychological studies even finding that mess and clutter can have a negative impact on our mental health. If you do one big clean, maintenance can be super-simple, and with our extensive range of dirt-busting cleaners and storage solutions, it’ll be no effort at all. First things first, before you can start a deep clean, it’s time to declutter, and let’s face it, after Christmas, we often have a lot of clutter! 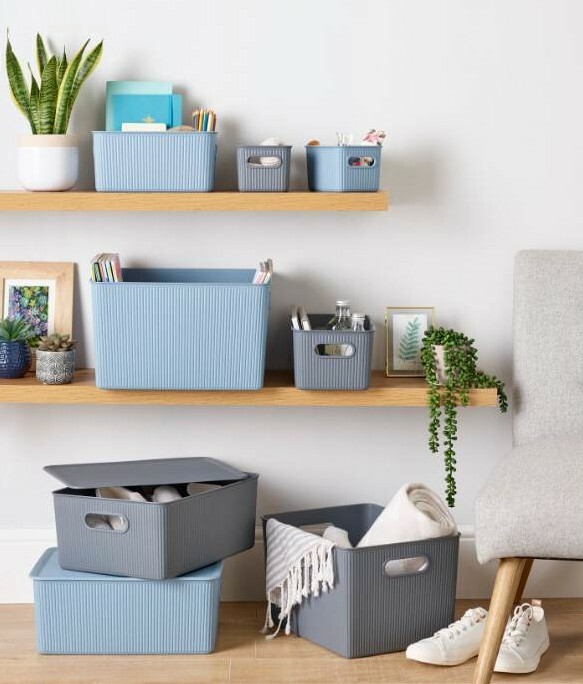 If you’re short of cupboard space, storage boxes fast become your best friend, and with attractive options like our gorgeous Oval Rope Tote or Foldable Grey Storage Boxes with woven-effect material and faux leather detailing, you’ll be proud to have them on display. Alternatively, if space is at a premium, a multipurpose storage solution might be what you’re after. Our Foldable Grey Ottoman is super-stylish, complements any living room and is perfect for putting your feet up with a cuppa… Better still, its generous 50 litre capacity and handy inner pockets hide a multitude of cluttering sins from the unknowing eye. Now for the cleaning… We’ve selected some of our best products for blasting through the toughest dirt as well as ingenious products to prevent the need to clean again! Now doesn’t that sound grand? Shower mould can be a tricky customer, too much for most household cleaning products, but before you resign yourself to re-grouting, have a go with Blitz that Mould and watch the mould disappear before your very eyes. 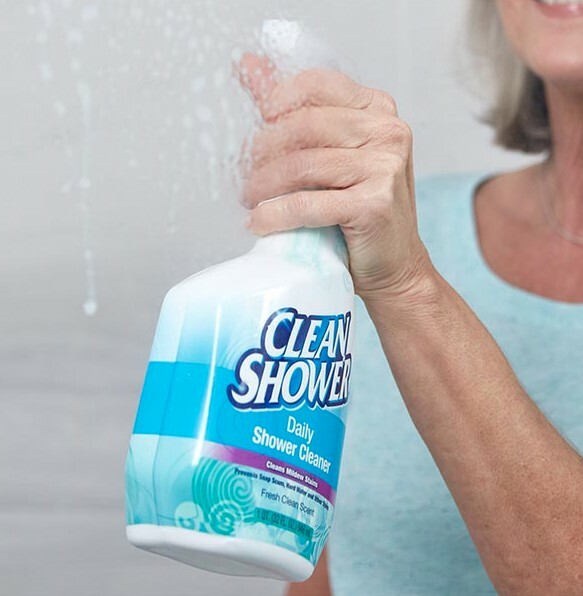 Clean the rest of your shower or bath with Vamoose Bathroom Cleaner (this can be used on your whole bathroom – no scrubbing required) and, finally, maintain that showroom shine with Clean Shower. Just spray and walk away and your shower will remain sparkling for weeks, or even months, with no build-up of limescale or mould. It’s highly likely that your oven has taken a bit of a battering over the festive season, and cleaning it isn’t the most enjoyable task… but Oven Mate can have it clean in a jiffy, with no scrubbing required. Simply brush on the innovative formula, leave for between 3 minutes and 3 hours (depending on how tough the dirt is – why not sit down and have a brew while you wait!) and wipe the grime away with ease. Once your oven is sparkling, line the base with Magic Oven Liner – this ingenious product catches food and fat splatters, protecting your oven floor so you’ll never need to clean it again! Dirt and grime will slide off the non-stick surface, so all you’ll need to do is periodically remove the liner from the oven and rinse it under a tap. This robust liner will last for at least 5 years, so that’s a lot of time saved cleaning the oven, and you’ll no longer need to dread this usually arduous task. We even have liners for microwaves, hobs and roasting tins – there’ll be hardly anything left to clean! For more cleaning tips and quick wins, see our Spring Cleaning Blog. So there you have it, a fresh start with no crazy fads or giving up your favourite treats. We’d love to hear how you’re getting on so please get in touch and let us know!